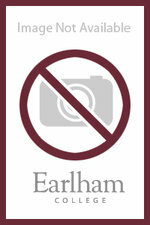 Earlham College 4X6 picture frame with "Earlham College" in white letters. 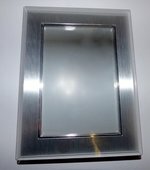 Earlham College 5X7 silver picture frame. Maroon carbon fiber pen and pencil set with "Earlham College" in gold letters. Ink is black and the pen comes in different colors with "Earlham College" in maroon letters. Maroon twist pen with "Earlham College" in silver letters. Maroon epiphany stylus pen with "Ear;ham College" in white letters. Gold business card holder with the Earlham Seal. Silver business card holder with the Earlham Seal. Maroon desk clock with the "Earlham Seal" in silver. Maroon and gold twist pen with "Earlham" in gold letters. Earlham Seal business card holder. Silver photo album with "The Earlham Seal and Earlham College" in black engraved letters.